2009 June Archive « .Evolving Music.
. 6 Comments Tags: Band Letter, Champion Sound, Constant Contact, Contactology, Fan Mail Marketing, FanReach, mailing list, newsletter, Reverb Nation, Vertical Response. Newsletters are an extremely powerful tool for musicians. Communicate with and engage the fans you already have – they deserve your attention and are hungry for information. Grow your fan base by making it easy and appealing to join your community. If you have a large mailing list you should be using a paid service. You might be familiar with email marketing newsletter services like Constant Contact, Vertical Response, or newcomer Contactology. While some people have great results with these services, people in the music industry should consider using a music oriented service. Some great options to explore include: Fan Mail Marketing, Band Letter, Champion Sound, and Reverb Nation’s FanReach. Once you’ve chosen which service to use and are staring at a blank template, you might be wondering what to include in your newsletter? How do you make yours stand out? Think carefully about your messaging and your tone. Make your newsletter a reflection of your (or your band’s) identity. – Any relevant news, i.e. tour schedule, album release dates, new music video, link to article mentioning your band etc. – Something free – and exclusive – like an unreleased song or recording from a live show. – Invite your fans to interact with you via things like remix competitions, voting on the title for your upcoming album, or submitting art for a band t-shirt. – Remind fans to add you on MySpace, follow you on Twitter, and become a fan on Facebook (and provide the links). – Multimedia. Use photos and video to make your newsletter more colorful and interesting. – Unsubscribe link (any good email marketing service will include this). Ok, so you’ve got a great design, great content and no one to send it to. Now what? How do you find more fans? How do you make them sign up for your mailing list? – At every live show, have a clipboard with a newsletter sign-up list available. Sweeten the deal with a raffle at the end of the night, e.g. winner gets a copy of your CD. – Make it easy and appealing to sign up for the newsletter online. The first thing a visitor to your website should notice is a place to sign up for the newsletter. Incentivize them by offering a free download, exclusive track etc. – Include an automatic thank you page that welcomes each new subscriber. – Include a link to sign up for your mailing list in your email signature. – Make it easy to share. Include links or buttons to forward to a friend, share on facebook, share on twitter etc. – Don’t send out a newsletter more than once a month. It’s annoying. – Get personal. You are a band (or musician) not just a brand. Your fans want to know about the intimate details of your day-to-day. – Keep the design and content clean and basic. You don’t want your newsletter looking like a pimped out MySpace profile from 2005. – Be consistent and be patient. Send out a concise yet engaging newsletter once a month and watch your community slowly take on a life of its own. – Analyze your metrics. Learn from them. Make improvements and adjustments as necessary. Of course, if your mailing list/fan base is not large enough yet to justify spending the money on a paid service, you can send out newsletters as bulk emails instead. Just BE SURE to put email addresses in the bcc field and give readers the option to unsubscribe (this is usually done by asking them to respond with an email with the word “unsubscribe” in the subject line). Remember that building a mailing list takes time and patience, but it’s worth every minute. Think of every email address as a real live member of your music community. You want to treat them with the respect they deserve (no spamming), keep them entertained and engaged, and turn them into loyal fans.
. 2 Comments Tags: Beatles, cover songs, Dub Side of the Moon, Easy Star All-Stars, Easy Star Records, RadioDread, reggae, Sgt. Pepper's Lonely Hearts Dub Band. When you hear the word “cover” what comes to mind? Is it a wedding band singing crowd favorites to fill a dance floor? Is it bad karaoke? One of the more unique ways to cover a song is, of course, to recreate it in a different genre. Think Johnny Cash‘s gorgeous rendition of the NIN classic “Hurt”, the tongue-in-cheek folk-rock cover of “Boyz in da Hood” by Dynamite Hack, or even The Fray‘s cover of Kanye West‘s “Heartless” (or American Idol winner Kris Allen’s version for that matter.) Sometimes, the cover song ends up being better or more popular than the original. Just look at this list of greatest cover songs and you’ll probably be surprised at how many of the covers you thought were the originals! As mentioned above, in 2003 the Easy Star All-Stars released Dub Side of the Moon, a reggae tribute to Pink Floyd’s Dark Side of the Moon. It went on to become one of the most successful reggae albums of the 21st century and spent over 5 years on Billboard’s Top Reggae Chart. As if that wasn’t enough, they then tackled Radiohead’s OK Computer, putting out RadioDread, which spent 18 months on that same chart (and apparently earned some accolades from Radiohead themselves.) Notice anything that those two classic albums have in common? They are both considered (by some) to be concept albums. Producer Michael Goldwasser, the musical wizard behind much of the All-Star magic says “We’ve focused on re-envisioning concept albums as reggae and it’s really important that the source material works as a whole and is not just a collection of songs. So, what better to take on next than the mother of all concept albums?” He was referring to the one and only Sgt. Pepper’s Lonely Hearts Club Band. If it’s been a while, here’s an interesting breakdown of the songs. And for the real fanatics among you, a little album art history. Obviously it takes balls to cover the Beatles, let alone the album considered to be one of the most influential and greatest albums of all time. 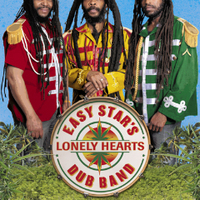 And yet, in April of 2009, the All-Star’s put out Easy Star’s Lonely Hearts Dub Band. 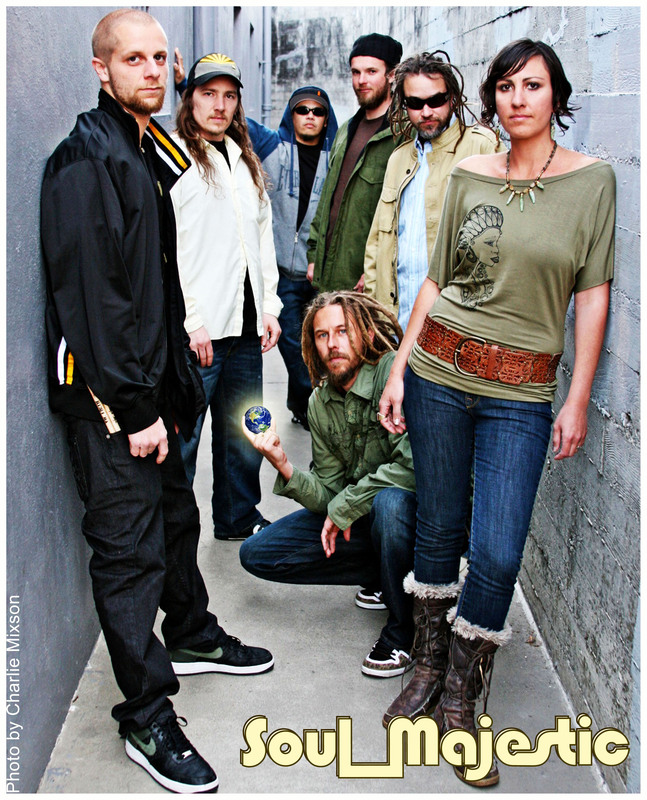 The album features a number of reggae and dub greats including Steel Pulse, Matisyahu, Luciano, and Steel Pulse, along with the usual suspects – the usual suspects being a collection of some of the finest reggae musicians in the New York area. What immediately stands out about this album, upon first listen, is how accurately they were able to preserve the vibe of each song. Though each song has been deftly crafted into a vibrant new reggae interpretation of its original, you can almost picture the Beatles nodding their heads in approval in the background because the emotion is the same. Lucy in the Sky with Diamonds – Frankie Paul’s haunting vocals and the psychedelic guitar and effects stand out, deliciously juxtaposed against the mellow dubbed out percussion and keys, giving this track a certain irresistible je ne sais quoi. She’s Leaving Home – Singer Kirsty Rock’s mellifluous voice soars delicately above the more upbeat ska-infused high hat and brass section. The reggae style keys come and go, a couple of interesting instrumental breakdowns happen unexpectedly and overall the listener is left constantly wondering what’s next. This album is unique to say the least. Check it out. And while you’re at it, follow the All-Stars on Twitter.